Clark, Lynn Edward Jr. of Boston, MA, passed peacefully at home on April 15, 2019. Beloved son to Lynn and Debhora Clark. Memorial services will be held Saturday, April 20th, 2019 at 2 PM at The George Lopes Funeral Home, 821 Cummins Highway, Mattapan, MA 02126. 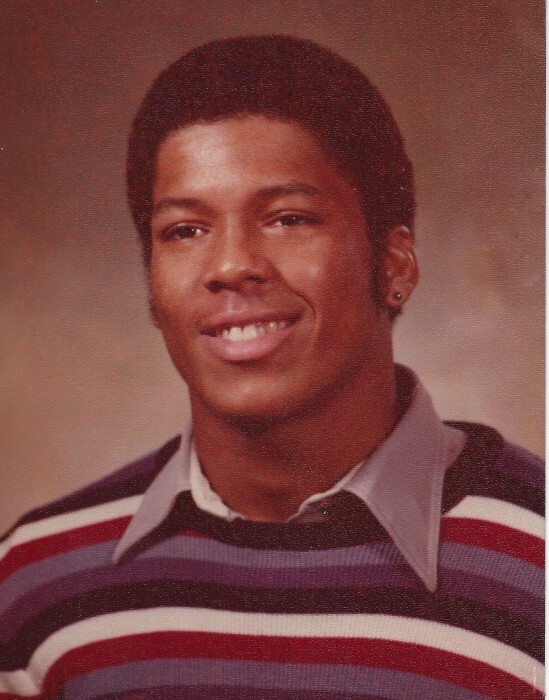 Lynn Edward Clark Jr. was born on July 12, 1960 and departed April 15, 2019. He was the first born child of Debhora and Lynn Clark Sr.
His passing is mourned by his mother, Debhora, his siblings Lynda, Kevin, Chris - who preceded him in death, Waldy, Haile and Michael. Also mourning his passing, his Aunt Brenda, Uncle Tony, his loving cousins The Chandlers and Physics, as well as a host of nieces, nephews and friends. A loving father, Lynn also leaves behind five beautiful children; Ayanna, Nia, Aliyah, Isaiah and Alyssa. Lynn graduated from Cambridge High & Latin School in Cambridge MA. He was a standout football player in High School and his talents led him for a period of time to play for Texas University, Austin Texas. He also played semi-pro football for many years in the Eastern Football League here in Massachusetts. A caring man of large stature, Lynn was often referred to a ‘Big Teddy Bear’. He worked a variety of jobs, but most of his years were spent working with at-risk youth and most recently as a home health aide for the elderly. In fact, within the last few years he spent his time caring for an Aunt in need. Lynn was also an avid sports fan of Boxing, Baseball, Basketball and of course Football, enjoying every aspect of athletic competition. His love of sports was not limited to professional athletes; he also took great pride and joy in the athletic achievements of his siblings and other family members as well. Lynn was a loving son, brother, nephew, cousin, uncle, father and friend. When it came to his friends, he treated them as extensions of his own family and would go to great lengths to help his friend in need and garnered the same response from these same friends. Lynn; a big man with a big heart.